While many of our northern countries around the world are buried in snow, we’re sitting in 32C heat (around 90F) but being buried in the sheer volumes of gaming news that seem to be falling from the heavens every week. 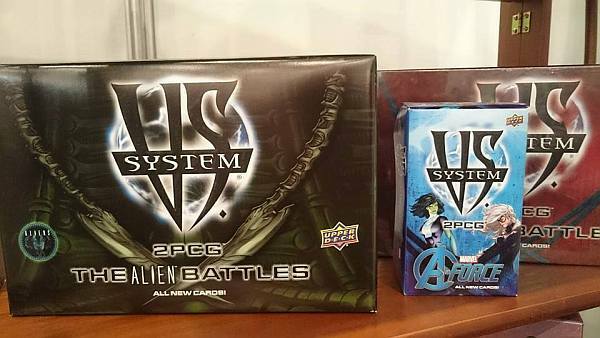 Some of our local South African game distributors are over at the New York Toy Fair and have taunted us with images of some of the new merchandise arriving later this year, which is doing nothing to aid my OBD (obsessive buying disorder). While we’re not seeing a lot of releases in February, we have noticed that there is a lot at sea on the way and even more in the pipeline for Gen Con and Essen. That’s looking to be your mid year Christmas if you’ve been nice and not naughty when the tax man comes around with his sack of money to give to the eager gamers! Not something marines would usually go for, but more Alien Encounters? Why not? With the bright lights of New York City above the convention, it’s no surprise that there were quite a few mainstream American film and pop culture franchises in the board game news coming out. 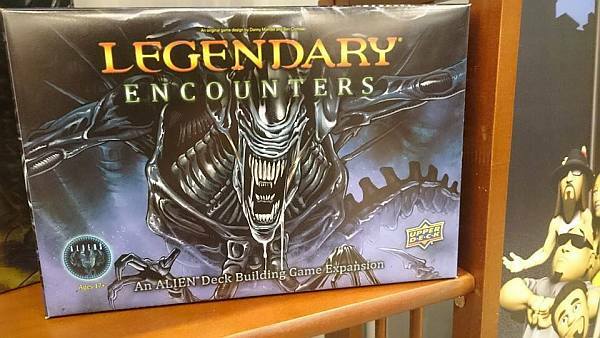 Upper Deck Entertainment and Gale Force Nine were leading the way with an expansion for Legendary Encounters Alien, box art shown for Legendary Encounter Firefly & Marvel Legendary: Deadpool all announced for the former and Star Trek Ascendancy and Dr Who: Time of the Daleks for the latter. I’m hoping this Firefly game may be the one that really aligns gaming with the TV series for me and now two 4X Star Trek games announced in short succession surely has many Trekkies excited. Monster Chase by Antoine Bauza looks to be a great kid’s game of scaring monster to closets! 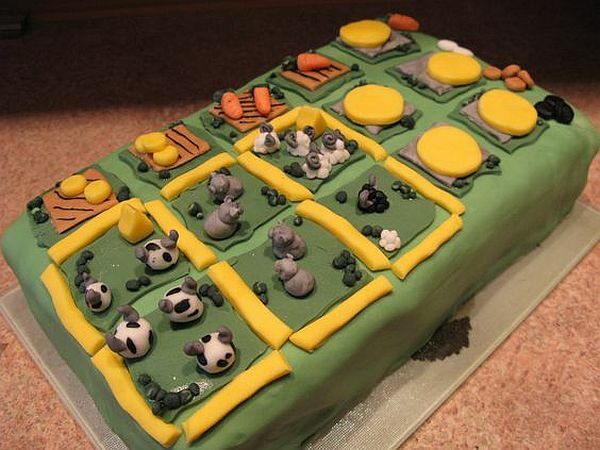 Winning Agricola was many things, but never really a piece of cake. After selling off the English version of Catan to Asmodee, Mayfair games has decided to produce new editions of Agricola, with some of us questioning the methods to the madness of some of their recent choices. The positives are that with the new edition they will be keeping the player count to 4, which I, and many others, think is a move in the right direction. They’re also going to reassess the cards with some of the popular choices from the expansions being included in the new set and some of the weaker/ less popular cards being left out. However they are producing 2 versions of the game, the standard edition and the family edition of Agricola, meaning if you loved playing with different audiences they’re enticing you to pick up both. Who knows, you can possibly house rule to simplify some aspects for family play but I think all in all a new edition will be welcomed by most. A Swedish family game design company, Fryx Games, is teaming up with Stronghold Games to produce Terraforming Mars, an economic and territory development game set on…well Mars. This euro has interesting elements of unique player starting conditions and a race to complete some of the 200 odd unique projects, from terraforming through to mining and industry development. All of this while possibly rescuing Matt Damon and balancing resources (Matt Damon not included, may be sold separately). No Kickstarter news would be complete without a mention of one of the champions of the era, Cool Mini or Not! 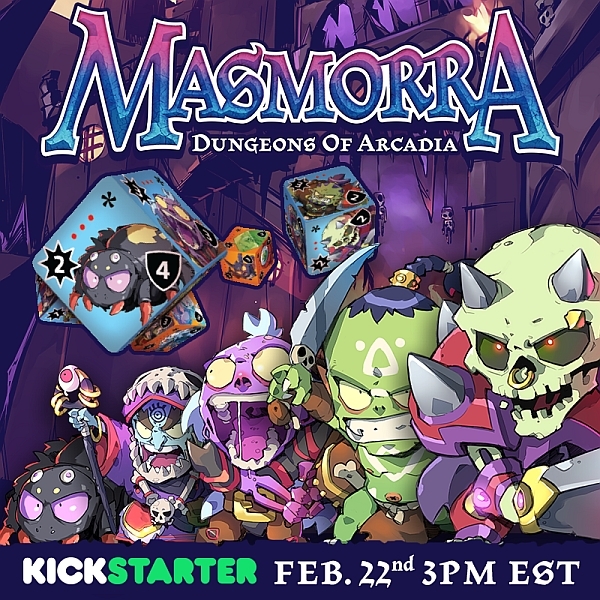 So on the 22nd of February, you can proceed to forgo any scheduled work and simply wait to click the pledge button for Masmorra: Dungeons of Arcadia. It’s more Arcadia Quest, but by their sales volumes and the mouth frothing of fans it’s never too much. Keeping with the dungeon crawls they do so well, Masmorra will be more dice driven than other games in the franchise. Players will use a yahtzee style mechanic to create a dice pool of actions, which they will spend in order to explore the 3 level dungeon, by drawing random modular board pieces, and fight the monsters that appear in their path. But there can only be one champion as players race to get to the final level first, while having to deal with card effects thrown their way by other players. If done right, this may be the quick and dirty dungeon roll-a-thon that many have been looking for. Of course, Cool Mini’s are mandatory with each release. In the Name of Odin looks to be a card driven Viking Conquest game with euro mechanics that is already funded on Kickstarter. With the imminent death of the Jarl, 5 leaders are eager to take his place and have their glory written in the annals of history through conquest. You’ll need allies and to pillage to gain glory for your deeds. Many critics, including Rahdo, have put their name behind this title but the Kickstarter page has scant details on how the game besides videos from reviewers and a full rulebook for backers to read. It could be a great champion or simply another game in the Viking hordes that are hitting our shelves. If you’re a big fan of pillaging this may be the game for you. The Mico, sounds like a graffiti artist but his fantasy art is that of a refined master. 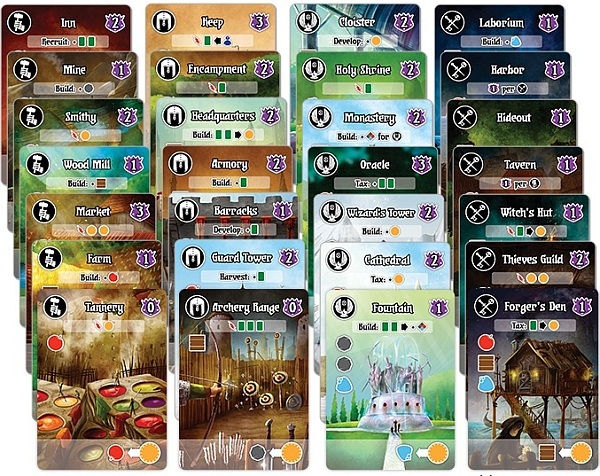 Lastly, Villages of Valeria is the second game in the Valeria series, and a prequel to Valeria: Card Kingdoms which was my Machi Koro killer of 2015. This game also sports the amazing art of The Mico, who in my opinion does some of the best fantasy art for board game in the current market. For the basic version you can have it shipped to South Africa for $22! ($17+shipping) and the deluxe version is around $34 ($23+shipping). In this village building game you’ll need to either choose to use cards for resources or the building as well as recruiting heroes to aid you in your quest to become Duke. I have a soft spot for the series as I supported the Print and Play for the previous game, but if this sounds like one for you shelf I’d get the full package shipped. The Big Box Cafe in Cape Town is also hosting the first Tabletop Masters event this Saturday the 20th. Details can be found on the Facebook page and the first round will have players competing with games of Suburbia, Istanbul and Lords of Waterdeep! Quantum Gaming also has their X-Wing Store Championship event to determine whether Imperials, Rebels or Scum will be crowned the victors this Saturday. In Gauteng, AWX with be hosting their DnD Attack Wing – Elemental Evil Organised Play event on Saturday from 10am where you can bring your mythical 120 point legion to lay waste to your foes and Battle Wizards will be hosting a Magic the Gathering EDM/Commander Casual Day from 10am on Saturday the 20th for all you MTG players to get your game on. Lastly, but definitely not least, Unseen Shoppe in KZN will be hosting their own MTG Commander Game Day on Sunday the 21st, as well as an Cardfight: Vanguard event on the same day. Check out their Facebook event pages for further details. Get out there and play some games with your local community in their stores! 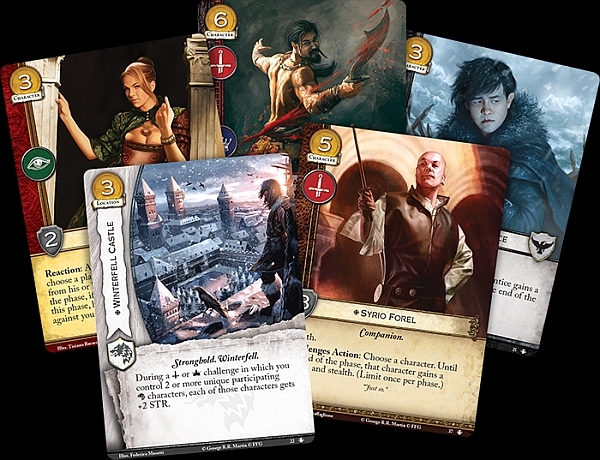 Brothel Madames, Syrio Florel and more will be in my Lannister Deck soon. That’s the wrap for the news. For those of who who are battling for the Iron Throne, Road to Winterfell should be in stores now! If that makes no sense to you, then get to your friendly local game store and try out Game of Thrones: The Card Game Second Edition. Now excuse me while I add my third copy of Tears of Lys.